SkinCareLab Founder, dermatologist Dr Brad Katchen, received his training at the Johns Hopkins University and Georgetown University Medical School. He completed his internship at Stanford University, continuing on with a post graduate fellowship at the University of California, San Francisco. Subsequently, he trained in Dermatology at The Mount Sinai Medical Center. Before opening his SoHo office, he practiced at Beth Israel Medical Center. 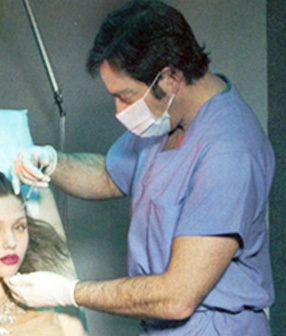 He is board certified by the American Board of Dermatology and is a fellow of the American Academy of Dermatology. Aesthetic treatments include chemical peels, Botox, Restylane and Juvederm injections, Ulthera, Thermage, Fraxel, Microneedling + PRP, Gentle Waves, Laser hair removal, IPL photofacials as well as Laser treatment for the elimination of facial and leg veins, age/sun spots, tattoos and wrinkles.